Broadlink KTM’s Riaan van Niekerk and Darryl Curtis have just returned from Swakopmund in Namibia, where they spent a week in the dunes fine tuning navigation skills and techniques in the sand, there is simply no better training than time in the saddle. The same Dakar spec ERTF GPS technology was used to plan and plot courses through the dunes, where Riaan had to follow the cap heading and collect hidden waypoints. 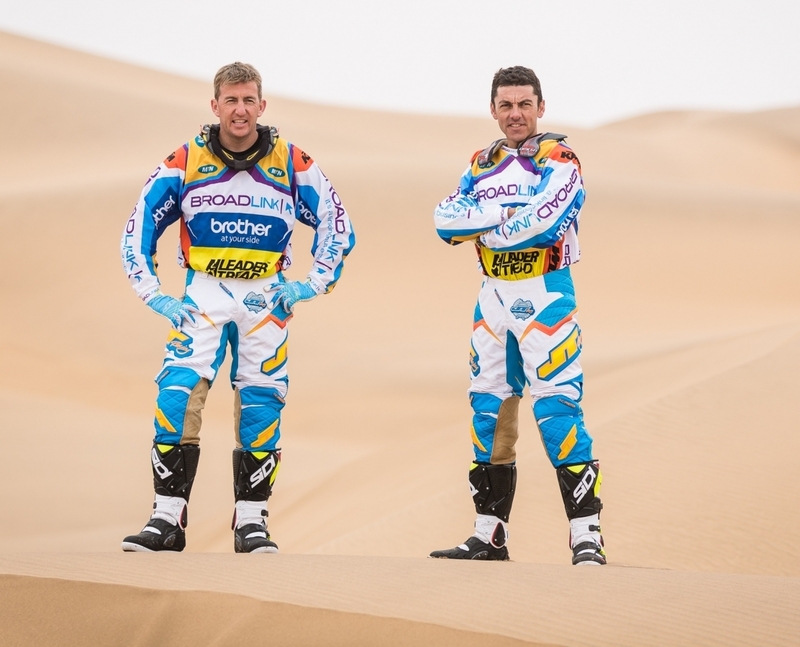 This will be Van Niekerk’s second Dakar and it will take a lot to equal his debut Dakar and his outstanding 13th overall, Riaan also won the rookie class and the Elf Trophy. This great result is still not enough to earn him an Elite entry from the ASO (yellow number plate), which means an instant advantage in the starting order, he starts in 30th position behind the elites. If he gets lost in the race, he won’t get an instant pass to the front of the queue the next morning. He will have to work hard to maintain focus and become the “desert fox”. His navigation skills are really good, although he lacks the experience of his team mates, he certainly has learnt a lot from them, especially after training with Marc Coma in Spain and finishing 12th overall in the rally of Maroc just a few weeks ago. Darryl Curtis has still not recovered fully from his crash at the 2013 Dakar, he broke his back and tore muscles in his shoulder in Chile on stage 12 of the race. Darryl will take up the role of Team manager of the Broadlink KTM team, streaming information and images to the media at home. He will also have a role to play with the marketing of the KTM Factory team, who will be looking after Riaan once again. The KTM factory team is made up of Marc Coma, Ruben Faria and Francisco Lopez. Kuba Pryzgonski, Riaan van Niekerk and Ben Grabham will fill the 6 man squad. Sadly, the young hopeful, Kurt Caselli will leave a hole in the team after tragically passing away at the Baja in Mexico. The team will for sure be riding for Kurt. The team leave Oliver Tambo for Buenos Aires on the 29th December, where they will collect all their equipment and the bikes before heading off to the 5th of January start in Rozario, Argentina. 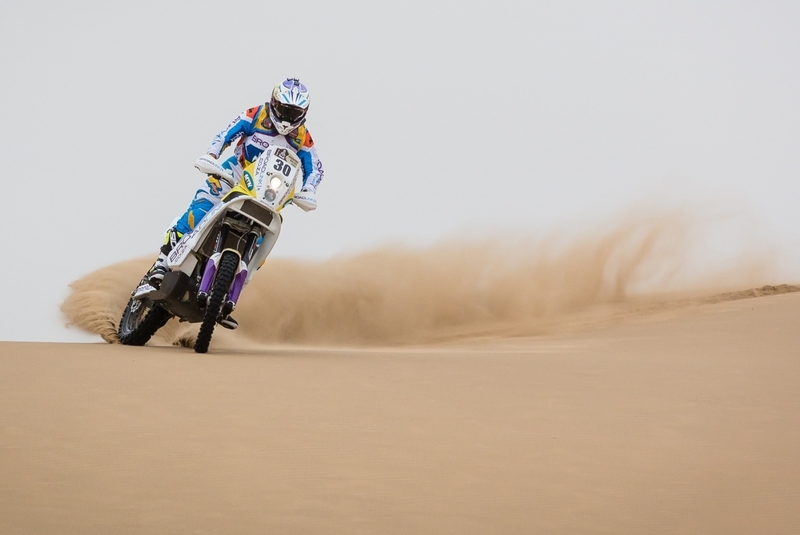 The 2014 Dakar promises to be exciting with a twist for the bikers, who separate from the cars on a Bolivian leg and a technical marathon stage that will bring some action for sure.